One event that we have attended for years is the annual Santa Barbara County Vintners' Festival Weekend that attracts wine lovers from near and far for an opportunity to meet member vintners, taste their wines, and enjoy great food and music over a long spring weekend, April 15th - 18th. 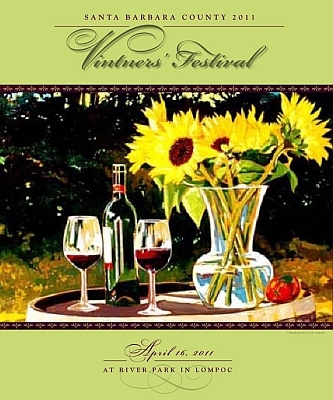 The main event is the Vintners' Festival - a festive outdoor environment on Saturday, April 16th from 1 to 4pm. The Festival features the wines of over 110 members of the Association, live and lively music, a silent auction and wine country cuisine by the area’s finest chefs. The Festival will once again be held at River Park in Lompoc. For the first time this year, they will offer VIP Early Entry tickets to the Festival. Guests can be one of the first to enter and experience wine tasting with this early entry ticket. This special Vintner's Festival ticket allows guests to enter one hour prior and experience the more than one hundred vintners and winemakers of the organization, who will be pouring their latest releases of the sixty-five plus varietals of wine grown in the county before anyone else! In the beginning months of 2001, Annette Bergevin and Amber Lane co-founded and created Bergevin Lane Vineyards with Gary Bergevin (Annette’s father). The goal for Amber and Annette was to “leave the rat race behind” in California and get back to what they each wanted from life. Annette wanted to be close to her family and long-time friends, and Amber wanted to take on new challenges and continue her personal path of growth and education. The winery officially opened its doors in May 2003; the winery is a 20,000 square foot “modern industrial” building located in downtown Walla Walla. Although BLV's production is 11,000 cases, there is a capacity to produce over 22,000 cases of wine at the winery. Winemaker Steffan Jorgensen is originally from Denmark and brings experience in winemaking from France, Chile, and Sonoma, Ca. 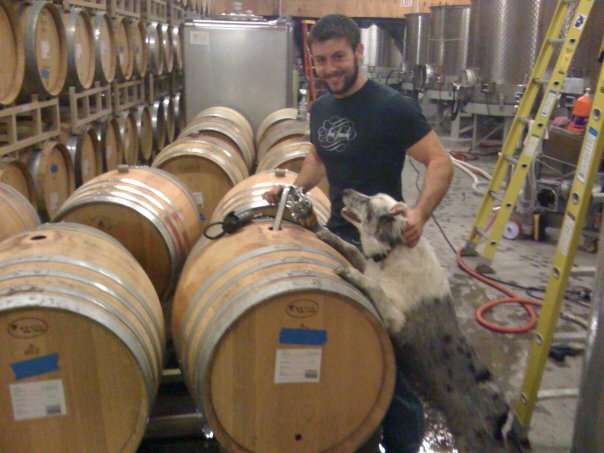 All of the day to day winemaking operations and production are under Steffan’s supervision. This group of “friends” has combined their respective talents to produce some very high quality wines. Recently, Amber Lane made a stop in Las Vegas to show off her wines and what a better place to do it was at Morels French Steakhouse in The Palazzo Resort and Casino. We met with the very charming Amber Lane and she began to take us through the wines. The first wine that we tried was the BergevinLane 2008 Cabernet Sauvignon Columbia Valley. Amber explained that 2008 was a compelling and complicated year . Compelling because of the balance the wines were showing already at this very early stage and complicated because of the somewhat cooler season. The cooler temperatures made for very intentional and thoughtful picking decisions and it required them to wait for the fruit to ripen before the frost took over. All of the fruit ripened later than normal but the longer hang time accumulated very complex flavors in the grapes. Nice and balanced, higher acidities and lower alcohol wines are known for their silkiness and elegance. This lovely Cabernet that is a blend of 75% Cabernet Sauvignon, 16% Merlot, 6% Petit Verdot and 3% Malbec to finish it off. The 2008 vintage was aged 20 months in 87.5% French and 12.5% American Oak and only had a production of 769 cases. In the glass , deep red to purple colors show off this medium bodied wine. On the nose , classic notes of cassis , smoke and black fruit lead into the palate of mineral , blackberries and nicely balanced tannins for a long elegant finish. We can definitely see why Wine Advocate gave this nice Cabernet 92 points and we cannot agree more. Over all , BergevineLane wines that we sampled were solid and represented the AVAs well. The 2008 Cabernet Sauvignon Columbia Valley was a stand out for us . The 2006 Oui Deux Syrah was nice and because of the Viognier eventhough its only 5 % gives it a more feminine touch. If you prefer a lighter Syrah this one is for you. It is always nice to visit and sample wines from small boutique producers because as we have stated in the past , you can taste the passion and work that went into these wines in every sip. BergevinLane is no exception to that rule. They are definitely worth enjoying. 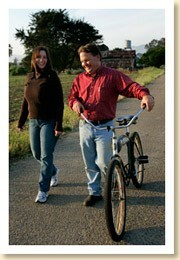 For more information on BergevinLane please visit www.bergevinlane.com. The World of Pinot Noir. over the last 11 years has earned the reputation as one of the foremost Wine Focus Events in the country with Growers , Winemakers and Master Sommeliers from all over the world converging on the Cliffs Resort in Shell Beach California every March. Each year fine , young , upcoming stars producing very nice Pinot Noirs and we visit with Icons of the industry and sample their time tested works of art. Each Day was different for us. The First day was full of pleasant surprises from some future winemaking stars. The second day we revisited many of the legends that have been at the fore front of winemaking in ,many cases for over 30 years and right up to the last day , pleasant , palate pleasing surprises kept coming . The World of Pinot Noir provides journalists a media room where we have the opportunity to do a focus tasting of every wine being pouring on that day. This is a wonderful chance to really look for those “special” producers and really take long look at their wines. 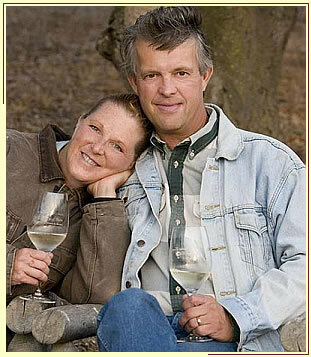 Great wines have a great story and one of the greatest is Peter and Rebecca Work owners of Ampelos Cellars. A cancelled meeting in New York on September 11th 2001 changed their lives and sent them to Lompoc, California. They bought 82 acres in 1999 and moved to “ The Ranch” in 2002. 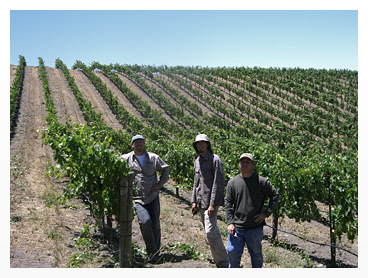 The first 15 acres were planted in 2001 and in 2005 expanded with another 10 acres. Coming from the corporate world , they spent the first four years learning how to farm the land, prune the vines and coax them onto the trellis. They also learned to nurture the soil and prepare it for the first harvest. Ampelos is truly a small boutique winery producing about 3500 cases a year and doing very well at it. Their lovely 2007 Lambda is their “focus “ estate Pinot Noir. A very classic blend of six clones: 115, 667, 777, 828, Pommard4 and 2A and represents their second year of organic and biodynamic farming. The Lambda is has all the signature notes of the Sta Rita hills and has scored 91 points Tanzer IWC 93 + gold medal Tastings.com 90-93 points Wine Spectator. Ampelos is all about love and passion for the land and should not be missed. La Follette is a winery that we found on the last day and are very glad we did. Launched in 2010 They source wines from many of the North Coast’s finest vineyards and it shows. 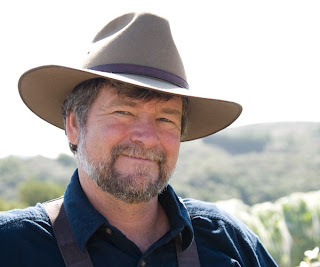 Winemaker Greg La Follette could not have said it better when he said “being a winemaker means forgetting about ego” he added that “The key is listening closely to what the vineyard wants to express and trusting that you can help to gently guide that process”. After visiting a speaking with winemakers from all over the country that is one lesson that we learned many years ago. Great wines and made in the vineyard! We placed a very big star in our notes on the 2008 La Follette Pinot Noir Manchester Ridge Vineyard Mendocino Ridge. Using Dijon clones of 777, 115 and 114 aged 10 months in French Oak they produced only 214 cases of this palate pleasing Pinot Noir. Assistnat winemaker Simone Sequeria was on hand and took us through their Pinot Noirs . She explained that she is a California native and has spent a decade in the wine industry, working in virtually every aspect of the business, including hospitality, distribution, lab analysis and cellar production. 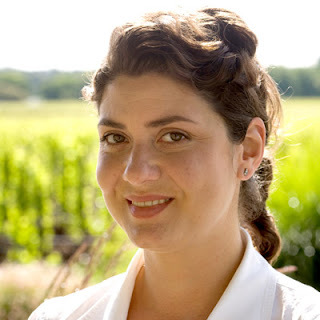 She’s also worked abroad, picking Pinot in the Cotes de Beaune for the excellent 2002 vintage of Burgundy and making Malbec at Vina Cobos in Mendoza, Argentina in 2006. With Greg and Simone working in the winery, La Follette has a great future if what we tasted at WOPN is any indication. The World of Pinot Noir features some of the finest Pinot Noir in the world. This event puts legendary winemakers side by side with the young all sharing their skill and love for this very special varietal. We sampled literally hundreds of Pinot Noir and all represented their AVA and country well. A few wineries stood out for us over the three day period for a variety of reasons. But the end result is that these wines stood out for us in their quality and what we feel a Pinot Noir should be and they best represented that. We look forward to the 12th World of Pinot Noir next March and look to find some more ‘special’ finds among the best of the best. The First weekend in March should mean only one thing to “PinotPhiles” and wine lovers worldwide and that is the World of Pinot Noir celebrating its 11th Annual Event this year. For many years we have engraved this weekend in to our calendar as a permanent event just like a birthday or holiday. Heading down California’s famed Pacific Coast Highway ( PCH ) with aromas of the Pacific Ocean in our face , excitement took over when we pulled into the Cliffs Resort and Spa which is the epicenter of The World of Pinot Noir and its 4 day celebration of this very special varietal. This event wastes no time in getting the guests involved. The first morning started right off with Three Seminars including a “International Round Table “ where Winemakers from Austria, Switzerland, France, Italy, Germany, New Zealand, Australia, and Chile conducted a panel discussion , presenting their wines and discussing the unique challenges of pinot noir in their respective part of the world. Guests that choose to get technical could attend a Seminar on Alcohol and Balance which provided a lively discussion with a panel including both winemaker and sommelier panelists - on both sides of this controversial issue. Panelists included Rajat Parr, Adam Lee (Siduri), Adam Tolmach (The Ojai Vineyard), Jim Clendenen (Au Bon Climat), Josh Jensen (Calera Wine Company), and Michael Browne (Kosta Browne Winery) and was moderated by Eric Asimov, New York Times. And for a real treat, guests could enjoy a Vintage Burgundy tasting with the legendary Fred Dame MS at the very beautiful Edna Valley Vineyard. Most wine events we have attended over the years offer a “Grand Tasting “ , but the World of Pinot Noir offers two “Pinot Noir by the Sea Grand Tastings” on Friday and Saturday offering a different world wine line up of exceptional Pinot Noirs. A new, very fun event offered this year was a Dinner Extravaganza hosted by Chamisal Vineyards “Dine Local , Drink Global “. Guests enjoyed great dishes from several central coast chefs including Featured Chef Jeff Olsson of New West, plus individual courses and appetizers from Pier 46, Central City Market, Luna Red, Full of Life Flatbread and The Cheese Shop. Dining in the winery with winemakers while enjoying their great works of art and continuing on to dance the night away among the fermentation tanks with local band Area 51 was a wonderful new event that is sure to be one of the featured events from years to come. With the pace picking up on the second day , guests had many choices to choose from. A very interesting Burundian “Young Turks “ Tasting and lunch featuring young and upcoming wine makers from Burgundy with Alexandrine Roy of Domaine Marc Roy and Thomas Bouley of Jean-Marc Bouley was a chance to see rising stars that will continue the great Burgundian art for years to come . For those that were in the mood for a hike, WOPN provided a great opportunity for a Vineyard hike and lunch at Edna Ranch . Some guests may prefer a nice motor coach tour and as always WOPN aims to please everyone. A visit to Stephen Ross , Clairborne & Churchill and Laetitia where lunch provided a nice comfortable way to spend the afternoon before returning back to the Cliffs Resort for the Pinot Noir by the Sea Grand Tasting . A Long standing WOPN tradition is the Saturday night Santa Barbara Style Paulee Dinner . 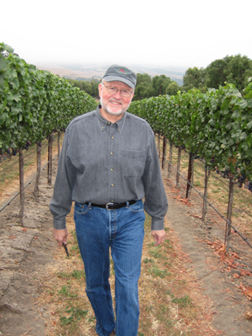 This year’s event was no exception, hosted by winemaker Jim Clendenen. We always enjoy the culinary creations of celebrity chefs paired with pinot noir from participating producers, many in large format bottles. In the spirit of Paulée, guests bring a bottle of pinot to share with everyone . This year’s Chef line up was pretty impressive with Chef Cal Stamenov, Marinus at Bernardus Lodge , Chef Craig von Foerster, Post Ranch Inn ,Chef Rob Baker, Me and the Hound, Chef Evan Treadwell, Lido at The Dolphin Bay,Chef DK Kodama, Sansei.Chef Keith Endo, VINO,Chef Moose Nakamura, Sansei and Chef Clark Staub, Full of Life Flatbread teaming up to provide some mouthwatering creations. Another new event and sure to be a favorite is the Sunday Brunch and walk around tasting by the Sea on Sunday Morning. This very nice , low key event with over 50 wineries in attendance provided guests a nice way to put an explanation point on a very special weekend. The World of Pinot Noir is in a class by itself and this years 11th Annual event was no exception. Providing an educational experience, the opportunity to enjoy world class Pinot Noir and dining with celebrity Chefs, The World of Pinot Noir offers something for everyone. This year’s new additions of the Friday Dinner Extravaganza and the Sunday Brunch and Walk around tasting show that WOPN is continuing to evolve and provide its guests new and exciting options as well as keeping the traditional events that keep people coming back year after year. The first weekend in March 2012 we know where we will be ! Will you ?